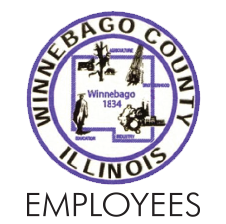 Starting now a doctor from the Hulsebus Rockford Chiropractic Clinic will be on site Tuesdays between 10:00 am – 3:00 pm at the Winnebago County Administration Building, Room 203. If you are not currently a patient at the Hulsebus Rockford Chiropractic, or it has been longer than 3 months since your last adjustment, you will need to first be seen at the main office (1877 Daimler Road, Rockford) before starting care at the on-site County clinic. Please call (815) 398-3434. When calling identify your self as a Winnebago County employee. Charges for all services will be processed through Winnebago County group insurance (Blue Cross Shield or Coventry). Applicable deductible, co-insurance or copay will apply. Chiropractic at the on-site chiropractic office are provided at a lower negotiated billing rate.